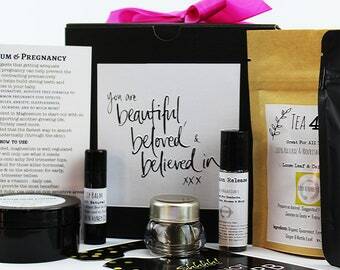 Who doesn't love a good pampering spa gift set? We understand that the dollar store has ruined "spa" items for us, you could put together something relatively "cute" and cheap....however, the actual experience will fall flat and leave one feeling a little less than fabulous. 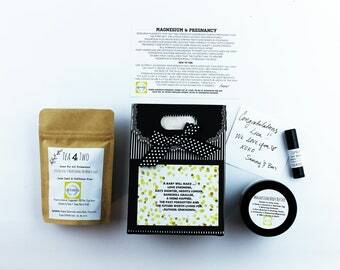 We adore curating gifts for your loved ones, especially the mama's out there! We skip alllll the fake stuff at Elder N Honey Co. this ensures that your gift is special and gives an actual pleasant experience. 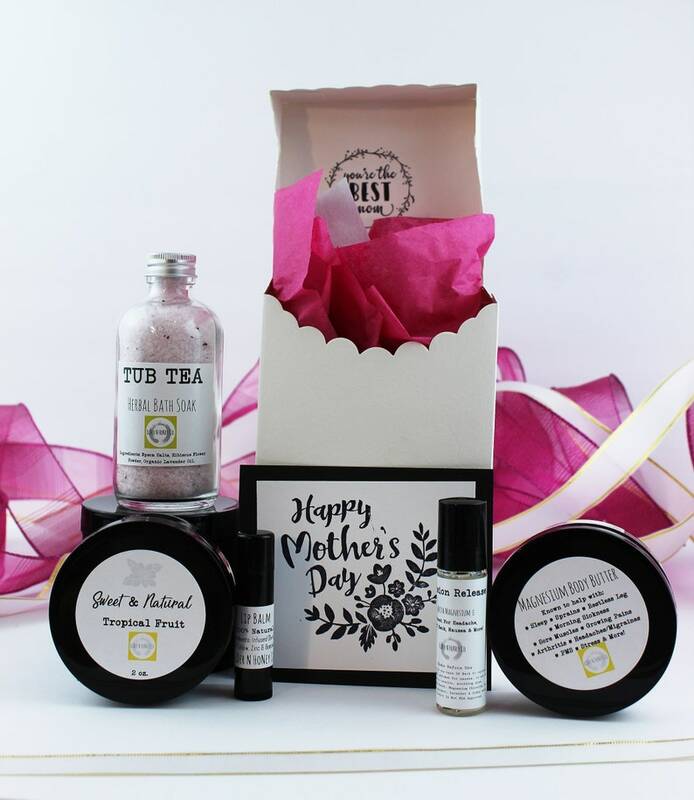 In this thoughtful Mother's Day Collection we've included all the favorites! 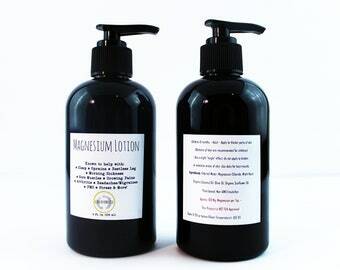 MAGNESIUM LOTION: This is the show stopper folks, magnesium is so essential, we include some form of it in nearly ALL of our gift sets. It's that amazing. It helps with so many things like, Headaches, Arthritis, Sore Muscles, Sleep, RLS and much much more. 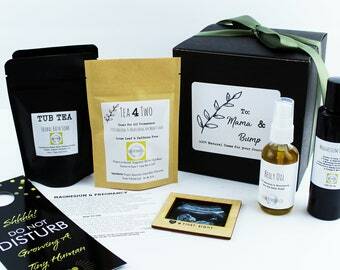 TUB TEA BATH SALTS: Soothing and fabulously pink, our epsom salts and a cute and posh addition to the gift. Who doesn't love a good soak? No cheap fragrances! BODY BUTTER: 100% Natural, One of a kind & oh so buttery. 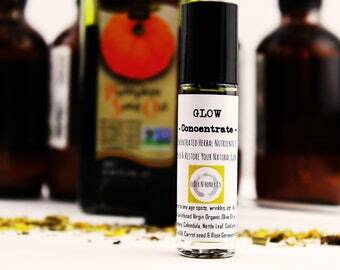 Very lightly scented with fruit & rose undertones, sure to please even the most sensitive noses. TENSION RELEASE ROLLER: More Magnesium! This one is a handy, on the go, headache tamer. Seriously a must for any purse. Any. LIP BALM: Tops it off with popularity & practicality - Who doesn't need an extra lip conditioning. Sure to please all sorts of Mom's or mom's to be or just mom like people in your life. Comes with a 100% LOVE guarantee! Skip the last minute run to the department store and order her something unique and special, just like her. We appreciate you shopping Etsy! While Supplies lasts, seasonal item. I have some really dry feet, regardless of the time of year. I'm that person that does their own pedicure before going to the salon so the esthetician doesn't realize how bad my feet really are. Then when I find a cream that works, the company does a vanishing act or changes formula. This is a Godsend, especially after my hip replacement. I can't lotion my feet just yet and this luxurious creamy butter melts into your skin and hydrates for a good day or so. It does feel a bit greasy if you use too much so I recommend starting small, seriously smaller than a peanut. 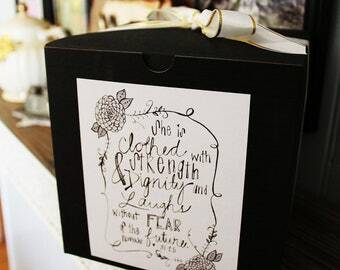 The scent is so light that men can use it too and not feel like they are covered in rosewater. Keep away from dogs, mine decided it didn't taste too bad.